Are batteries guilty as charged? Worldwide, the use of energy storage from renewable sources is rising, as more countries commit to renewable energy targets and attempt to reduce costs. As an example, Australia has experienced remarkable growth in installations of solar photovoltaic (PV) panels in recent years. Energy storage technologies are the next logical step; once they are sufficiently available at the right price point, they are likely to have a similar market penetration of solar PV. The present lag in scientific understanding of battery energy storage systems at the domestic and small commercial level is contributing to a clear gap in policy development for battery storage best practices. The difference in pace between the development of standards versus the technology is likely to be a significant policy issue on a global scale. Our research aims to use Australia as an example of a country that already has residential and commercial uptake of battery storage technology, and thus an opportunity to set a global norm for capability and standards in the industry. Here, we discuss the potential social implications relating to domestic and small-scale energy storage safety, and highlight areas requiring further research. As battery technology advances and decrease in unit cost, the installation of sufficient battery storage for domestic requirements is becoming more affordable. Thus, energy storage is an increasingly attractive prospect for many homeowners. Energy storage technologies are appealing because they are more environmentally sustainable and allow consumers to reduce electricity use from non-renewable sources. They are also customizable and can be designed to suit individual household requirements and applications, offering homeowners more independence and flexibility. Australia has already experienced remarkable growth in installations of solar photovoltaic panels in recent years. Energy storage technologies are the next logical step to help match renewable generation to electricity demand. Once the technology is sufficiently available, it is predicted to have a similar market penetration of solar PV. Energy storage has the potential to stabilize and improve the efficiency of Australia’s electricity grid, especially with the increasing popularity of renewable solar and wind generation. It can store renewable energy for later use, and help to manage household peak demand, provide backup power and adapt customer usage in response to feed-in tariffs. Domestic energy storage can be connected to the centralized electrical grid to supply or receive electricity from the network, or it can form a stand-alone system for household users. Some companies have already begun marketing campaigns based on future energy storage, production and the industry is likely to experience significant growth as multiple companies compete for market share. However, the speed of this new technology development and market diffusion has the potential to outpace scientific understanding of the limitations and risks, and the development of industry best practice, safety guidelines, and procedures, before these systems are installed. However, the Australian public has a low awareness of battery storage technologies and the industry faces the potential risk of a serious incident occurring. We recommend that further research urgently addresses the global and national need for standards relating to domestic energy applications. The standards should consider whole-of-life practices, including disposal and recycling, particularly for emerging technologies such as lithium-ion battery storage systems. The greater consensus is also required on safety recommendations for different technologies. Interviews were held with 24 electricians who had installed battery units and with private battery suppliers. Participants were asked about their experiences with batteries through all stages of battery life, from transport and handling to design, installation, storage, maintenance, and recycling. Three focus group workshops were held to complement and extend interview data. One focus group comprised solar PV installers with varied experience in battery storage installations. The second group comprised consumers of solar PV and/or battery storage, while the third comprised members of the general public who did not have solar PV or battery storage. Four clear themes emerged from our research: lack of accreditation and training; lack of available and accessible information and low general knowledge about battery technologies; lack of commonly accepted safety procedures, including how to extinguish a lithium fire, and; unclear standards for some aspects of installation, maintenance, recycling, and disposal. The literature review indicated solar PV installers experienced inconsistency in solar-specific accreditation and training as a limitation of their industry, given the expanding range of new businesses aiming to fill the market demand for rapid growth in solar PV installations to capture limited-time government incentives. This suggests that many installers rely on general knowledge, past experiences and learning on the job. Focus group participants noted that because of the lack of agreed best practices, the rules “changed regularly” and were not enforced, checked or audited. Installers, therefore, have varying standards for installations, resulting in “some installations [being] below standard”. Similarly, respondents from the interviews and focus groups indicated the significant lack of accreditation and training opportunities regarding battery storage installations at the domestic level, especially for lithium-ion battery technologies. Focus group participants indicated that consumers had no way to tell who was a reputable installer and as a result; “customers now don’t trust industry” because of experiences with some door-to-door salespeople “pushing” uptake and lower-quality installations. However, if there is no way of finding an accredited installer, consumers are forced to do more research and have more understanding of the system themselves. This key barrier to energy storage uptake results in a range of different systems, some of which have been put together by a motivated, yet untrained, the do-it-yourself consumer. As one installer pointed out, there were “plenty of DIY installations out there”. Consumers are confused about how to find an appropriate installer, and installers experience tension and rivalry over who is sufficiently skilled to service this market and which procedures are considered best practice. Most importantly, inadequate training and accreditation result in the potential for unsafe installations. The research identified the unavailability of specific information about energy storage, particularly regarding choosing the right product, and basic knowledge of correct installation, maintenance, disposal and recycling of the product. Lack of information was noted as a barrier by consumers in focus groups: How long will it last? How much does it cost? How big is it?’ How safe is it? How much maintenance does it need? As a result of so many questions, they came to the conclusion that “it’s too difficult”. Furthermore, very little information is available about environmental effects after disposal. This has affected both installers and customers, because despite “huge interest in battery storage”, consumers were left thinking the industry was not yet advanced enough to make a purchase. Otherwise, for motivated consumers who persisted with looking into making a purchase, the only information available was highly technical, confusing and had large gaps. Some thought you would “need a university degree” to understand it. The social implications of inadequate information include potentially significant safety incidents and injuries. As one installer noted, it was just luck that the industry “hasn’t had idiots kill others yet”. Another area of confusion was the lack of consensus on how to extinguish a lithium-ion battery storage fire. Australian residential energy storage installations presently do not require passive or active fire suppression systems as part of their installation (excluding in the ACT). This is mainly due to a lack of understanding or knowledge of the best way to extinguish such a fire. Current literature suggests using sand, liquid nitrogen, water mist, lithium chloride, foam, or wait it out – all of which have advantages and disadvantages. As one installer explained: “I blew up $25,000 of lithium batteries to check the failure ratings.” As the required scientific information did not exist, he decided he needed to make his own assessment. In addition to the lack of information, other safety risks identified in our research included unsafe battery storage installations by untrained or inexperienced installers or homeowners, and uncertainty about the safety procedures required by installers, homeowners or the emergency services. This was especially concerning to installers, given that different battery storage systems have different fire responses, but that homeowners and emergency services were unlikely to be able to differentiate between them. This problem is compounded by the lack of best practices or standards of warning labels for the batteries and storage system enclosures. Examples of risky procedures cited in interviews included installations that were exposed to high and variable temperatures, or used for multiple purposes, such as a shelf or table, or storage of garden tools. Some installers had already experienced safety incidents – luckily, without injury – such as smoking lithium-ion battery units. During one focus group, an installer gave an example specific to solar PV systems without storage, which involve the risks of roof fires from roof-top electrical isolators, and of being unable to turn off systems from the ground. With the addition of battery storage, the consequences of a fire due to failure could be even more catastrophic. Electrical Isolators are designed to meet minimum safety and electrical standards at the time of installation. However, the present standards do not address the degradation of the isolator hardware due to Australian environmental exposure over the commissioned life of the installation. As part of overall system safety procedures, cabling and devices such as rooftop Isolators that feed into battery storage systems also need to be prevented from physically degrading over the life of the installation. The safe disposal and recycling of batteries face significant challenges in battery chemistries still under research and development, such as phosphate or manganese-based lithium battery chemistries, which have little or no valuable metals such as cobalt or nickel. These technologies have a net negative value for recycling; the effort to recycle them only for their lithium content will be very high, and recycling in the long term will likely be mainly for ecological benefits and adherence to environmental laws. This is unlikely to provide sufficient incentive to drive the development of safe disposal and recycling requirements. Another issue identified in our research was the absence of reporting – for example, very few residential and light commercial stationary energy storage installations or incidents have been recorded. There are no records or mandatory reporting process requirements to capture this information in the Australian industry. As one installer noted, he had heard of 167 fires in six months as a result of faulty rooftop Isolators, but this was not captured in reports and so was unable to be substantiated. However, it demonstrates the lack of reporting or data repositories for current installations. Some standards are available for mature or established energy storage technologies and for the connection of inverters to the electricity network: for example, lead-acid batteries (AS 4029), nickel-cadmium batteries (AS 3731) and their applications as secondary batteries for use with stand-alone power systems (AS 4086 and AS/NZS 4509). However, several of these standards are out of date (up to 22 years old) and only consider specific cases, such as off-grid and stand-alone, while the modern use of these technologies has expanded to broader applications. The standards are currently being revised, with a focus on residential (up to 10-kVA single phase) and commercial (up to 30-kVA three phase) applications. The timeframe for the development of these standards is unclear. Meanwhile, the industry is proceeding with installations. Other existing standards cover a variety of grid and off-grid connections, vehicle-to-grid connections, and demand response. New standards will need to include demand response capabilities, electromagnetic compatibility, smart communication, training and maintenance, transportation, safety and emergency guidelines, and environmental/recycling requirements. As noted in the previous section, standards are unclear regarding the labelling of battery storage systems, with no differentiation required when labeling different battery types. This issue is also apparent in the disposal and recycling of batteries. 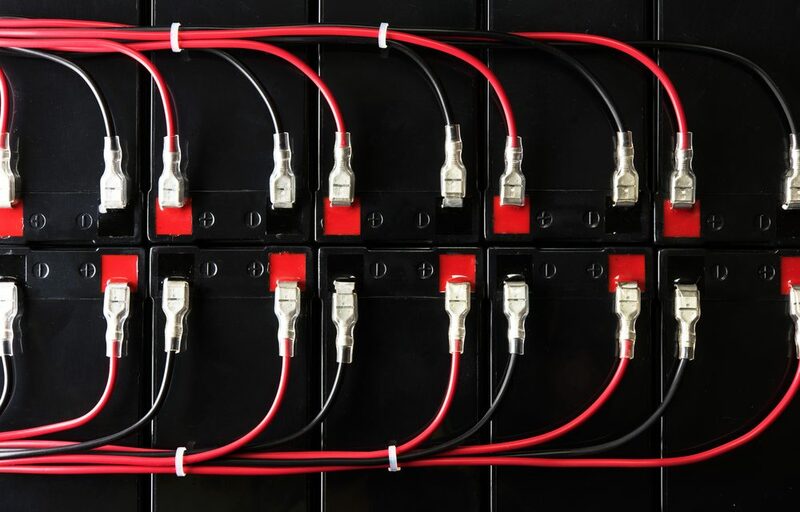 For instance, lead-acid batteries have strong and established standards, while there are significant gaps for lithium-ion and other chemistries, which are mostly sent overseas for processing. The interviews and focus groups noted that general public understanding and awareness about energy storage technologies is low, especially regarding safety. Participants emphasized that it was important to avoid panic or undue sensationalism of the dangers of energy storage. However, they thought it was just as important to avoid a serious incident through having a basic understanding of the risks and proper procedures for handling batteries. The main perceptions about energy storage of consumers were positive. The majority finds it attractive as “free energy” and “clean energy”, which enabled one to “have the lifestyle you want and not worry about the cost”, and feel good to “leave something for our grandchildren in terms of the environment.” Many consumers also noted the attractiveness of being completely independent and saw it as very appealing to “go completely off-grid”. Such comments demonstrate that battery energy storage technology is an area of complex social perceptions, misperceptions, lack of information, assumptions and beliefs that are rarely researched. Our results highlight that current levels of energy storage installations in domestic settings are outpacing consumer – and in some cases, installer – information and understanding. Focus group participants felt that this posed a real risk of a serious, industry-damaging incident occurring. This demonstrates an urgent need for further research into developing a scientific consensus on safety recommendations and best practices for installing domestic energy storage technologies. Participants also identified a need to develop clear, consistent standards and best practices for using energy storage in the home, particularly regarding newer technologies such as lithium-ion. Better education, specific training, and accreditation are also required to ensure that essential information reaches those who are using these technologies. The lag in scientific understanding of battery storage at the domestic level contributes to a clear gap in policy development for battery storage technologies. The difference in pace between the development of standards and technology is also likely to be a significant policy issue on a global scale. The wide range of applications for energy storage technologies; including grid-connection, vehicle-to-grid, plug-and-play systems, distributed energy and smart grid integration; all need to be considered to avoid similar gaps between markets and sufficient scientific and standard status. To close this gap, new standards must be developed that incorporate demand response capabilities, electromagnetic compatibility, smart communication, training and maintenance, transportation, safety and emergency guidelines, and environmentally friendly disposal and recycling requirements. Science and government must work with industry in this process to urgently address this gap and avoid serious and preventable safety incidents. This white paper was authored by Aysha Fleming, Aditi Mankad, Kate Cavanagh, Chris Price, Sam Behrens, Nigel Haigh and Owen Lim of the Commonwealth Scientific and Industrial Research Organization. It was funded by the Clean Energy Council and first appeared in Renewable Energy.